Our Firm acts as agents for most major title insurance companies in issuing owners and mortgagee title insurance policies for both residential and commercial transactions in Florida. 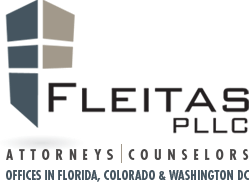 Our partnership with Attorneys Title Fun Services, LLC provides us the support we need to meet our clients’ title insurance needs. Why do we recommend title insurance to our clients? For a one-time premium, title insurance protects our clients against hidden risks or undiscovered property issues that can affect their interest in the property, be it an ownership or mortgage lien interest. By providing our clients with title insurance we give our clients’ piece of mind that their investment is insured against unforeseen title risks. We are proud offer this service to our clients, as we believe it is vital in every residential and commercial real estate transaction.